With personal assistants like OK Google, Cortana and Siri becoming omnipresent on our devices, inevitably the question arises as to what commands you can use with these services. In the case of Google, they have made it quite simple. If you are using the Google Now Launcher on your device or simply use the Google search function, you are one voice command away from getting a good list of all the things you can do with OK Google. For this How To I am assuming that you are running the Google Now Launcher or have access to OK Google in some way. For those who don’t know, the Google Now Launcher is a free app and replaces your default launcher (think your home screen(s)) on your device. Personally I’m a big fan of it but there are other great launchers out in the Google Play Store. Once you have Google Now installed or if you are in the Google Search app, say OK Google to get to the voice activated portion of the app. Next, simply say “Hi there”. After you say “Hi there”, Google Now presents you with a wide range of commands and examples that you can use within it. The beauty of OK Google is that it understands natural language very well and continues to improve with Google’s machine learning efforts in the background. 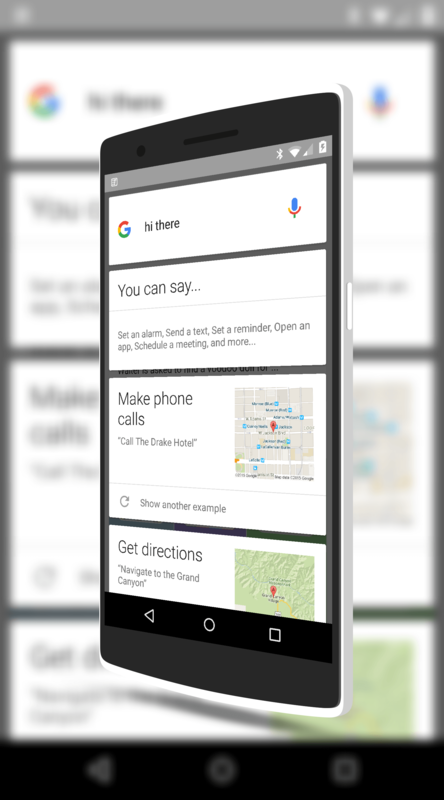 But as you can see from the graphic to the right, there are a lot of basic commands that you can give to Google Now as well as some rather sophisticated ones. For example, you can tell it to play a specific song or album in your Google Play Music app. While the “Hi There” command in Google Now is designed to give you a flavor of what you can do with the service, it is certainly not an exhaustive list. Give it a try!